The human mind is a marvelous and mysterious creature. Our external experiences inevitably become imprinted into our internal makeup. The triumphs and tragedies of our daily lives pierce deeply into our being- they remain in the subconscious mind. The subconscious can be thought of as the inner, all-knowing part of the mind. Because we are unable to filter what makes its way into our subconscious, most of us have collected large amounts of subconscious “garbage” over our lifetimes. Traumatic events that we thought we had dealt with long ago and moved passed can remain unresolved and stuck in the subconscious mind (I’m guilty of this). This so-called “garbage” is preventing us from moving forward in life and rising up to our full potential! The Sa Ta Na Ma meditation, also known as Kirtan Kriya, is a classic technique in Kundalini Yoga as Taught by Yogi Bhajan. This meditation is intended to bring total mental balance. It clears the subconscious mind of traumas and negative, unnecessary emotions. It improves concentration and brain function, increases intuitive abilities and brings peace and understanding to the practitioner. The Kirtan Kriya not only heals the subconscious but helps us discover the divine nature of all beings. 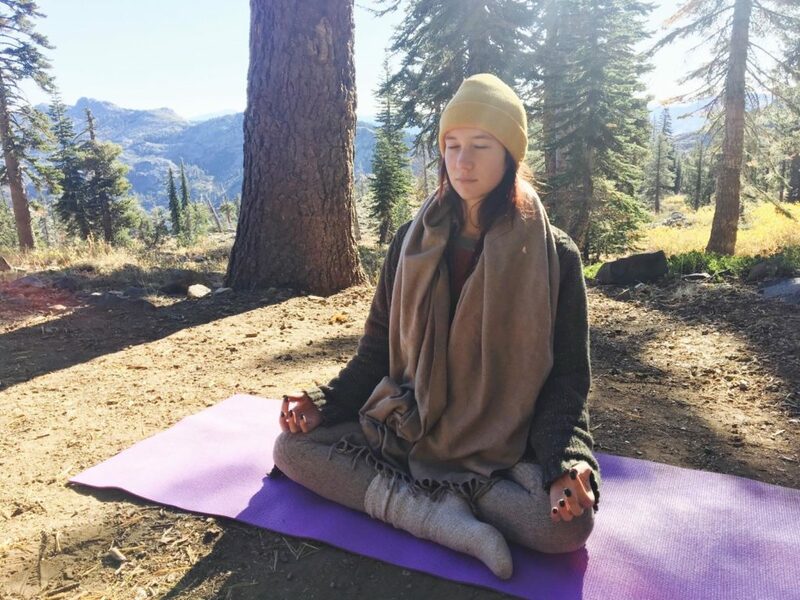 Yogi Bhajan suggested that if you can practice only one meditation, this is it! This meditation uses the fundamental Kundalini mantra Sat Nam. The mantra is rooted in Sikhism and is commonly translated as “truth is our identity.” The bij or seed mantra of Sat Nam is Sa Ta Na Ma. The power of this practice can be compared to the energy of an atom being broken down into its nuclear parts, Sat Nam being the atom and Sa Ta Na Ma being the thread that creates the sum total. The Sa Ta Na Ma meditation is composed of the several parts that are done simultaneously, all which have equal importance and should be practiced correctly as to receive the benefits and to not injure the student–mental focus and precision is key! Visualization is an important tool for manifesting desired results. This is essential for experiencing the subconscious cleansing effects of the meditation. The mental focus for the Kirtan Kriya is known in Kundalini yoga as the Golden Cord, which is an energy pathway that connects the pineal and pituitary glands. While chanting at the various tones and alternating mudras, imagine the vibration of each syllable dropping into the sahasrara chakra (crown chakra which is located at the top of the head) and feel the energy flowing out through the ajna chakra (third eye point located above and in between the eyebrows). It helps to visualize this energy moving in the shape of an L. The pineal and pituitary glands are directly associated with the crown chakra and third eye point, which are our centers for intuition, spiritual connection and enlightenment. Cautions Because the Kirtan Kriya is intended to cleanse the subconscious, it is common for experiences and unresolved emotions of the past to arise during the meditation. Do not attempt to avoid these negative emotions and understand that during this practice it is healing to dwell in them fully. This is how we overcome traumas of the past and move forward with our future! However, if you believe that what you are experiencing feels too intense to handle but you would like to continue with the meditation, consult with a certified Kundalini as Taught by Yogi Bhajan instructor. Let us know how you feel after you practice Sa Ta Na Ma meditation! Thank you Ally for this wonderful explanation of the Sa Ta Na Ma mantra meditation. I would like to know if it’s okay to extend the silent portion of the meditation ( in the middle) before we return to the whisper and out loud recitation or must we stick with the 3 3 3 the whole time? Thank you. I consistently return to a holiday I went on years and years ago in New York city during this meditation. Nothing in particular of note happened on the holiday and I just get flashes of sitting in a bar or certain points during the trip. Is there any reason? does this happen to you?